The conclusion to the Eagles of Rome trilogy this could not of been a better wrap up to the three books; I’d go as far to say that this was the best of the three. A historical fiction novel based around real life events that occurred during the time of the Roman Empire, this novel (and series) completely transported me back in time with each book; all three are just completely fabulous.. I’ve loved Ben Kane for several years, and have been following this series since the start; meaning I’ve been waiting a long, long year in order to have the conclusion to this trilogy. I just want to thank Jasmine from Penguin Random House, and Ben Kane himself for sending me a Kindle ebook copy for me to read and review. Arminius has been defeated, one of the three eagles has been recovered, and thousands of German tribesmen slain. Yet these successes aren’t nearly enough for senior centurion Lucius Tullus. Not until Arminius is dead, his old legion’s eagle liberated and the enemy tribes completely vanquished will he rest. But Arminius is still at large, devious, fearless and burning for revenge of his own. Charismatic as ever, he raises another large tribal army, which will harry the Romans the length and breadth of the land. Into this cauldron of bloodshed, danger and treachery, Tullus must go – alone. His mission – to find and bring back his legion’s eagle – will place him in more danger than he has ever faced before. This novel did not disappoint and was a stunning conclusion to an epic and emotion series. I mentioned in a past review of the second book just how much I connect to some of these characters, and both of these final two books have had me in tears at some point during them. For once I actually get to mention spoilers in this review as its a series conclusion, but I will be trying to not spoiler this books. But I will just say that for me, like with the other books, Piso made this book. Such a funny, well rounded character; that’s beautifully developed and I feel a real connection with. He has been the cause for laughter, and tears (both of happiness and sadness) within all the novels, I find that he is great at keeping the story flowing along, as well as being great comic relieve from the more emotional and stressful parts of the novel. I cried when I was lead to believe that he had died in Hunting the Eagles. If there is one thing that I find is consistent among all of the Ben Kane novels that I have read, is that its the characters that keep the stories moving, and has you constantly turning page after page. 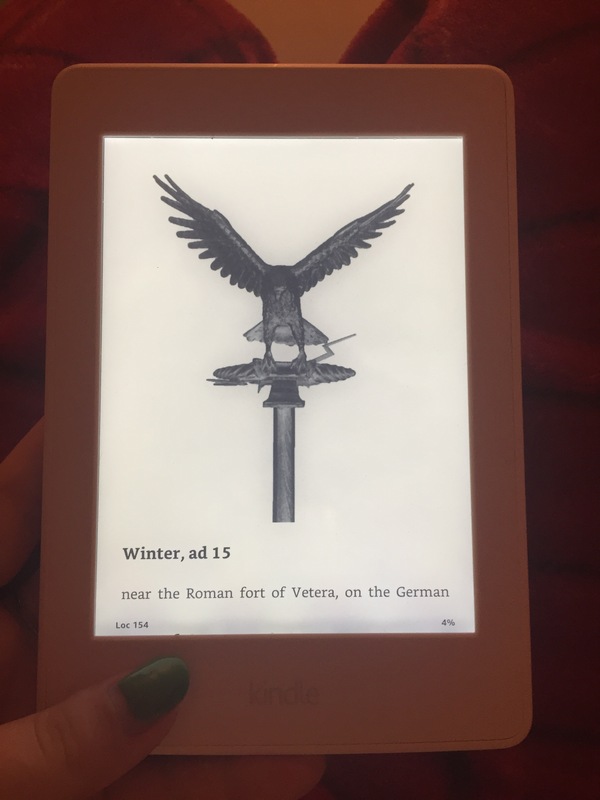 All his stories are epic in the setting of the Roman Empire, and its your emotions to the characters that has you having to know what is going to happen next and whether they will pull through, or will be another victim of war. There’s not many authors that can have me feel so much for characters, but Ben Kane manages to do it every time. Luckily I have a couple more Ben Kane novels sitting on my shelf reading for me to read, but I am already excited to know what it is he will be coming out with next. This was an easy FIVE STAR read for me, and one I will be rereading as soon as I have hold of my copy of this as a hardcover book. If you like historical fiction, or war fiction or just a REALLY GOOD book, then I recommend that you go and pick this up straight away!! GO, go now! !